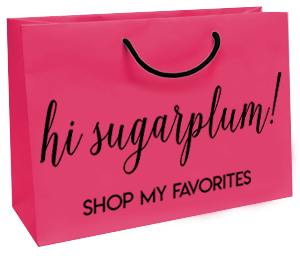 Amazon Fashion Finds | December | hi Sugarplum! Cheers to Friday, friends, and the weekend ahead! We’re shopping for our Angel Tree families tonight, and tomorrow it’s the Dallas Symphony! So all kinds of Christmas cheer happening around here. I’m so excited to get dressed up in something fun and festive, too. What are your plans? Thanks for all your love this week on our Christmas decor, as well as my Tips for a Better Night Sleep, and some Fall Neutrals inspiration. I also recapped November, so that’s a good post to check-out if you’re playing catch-up! 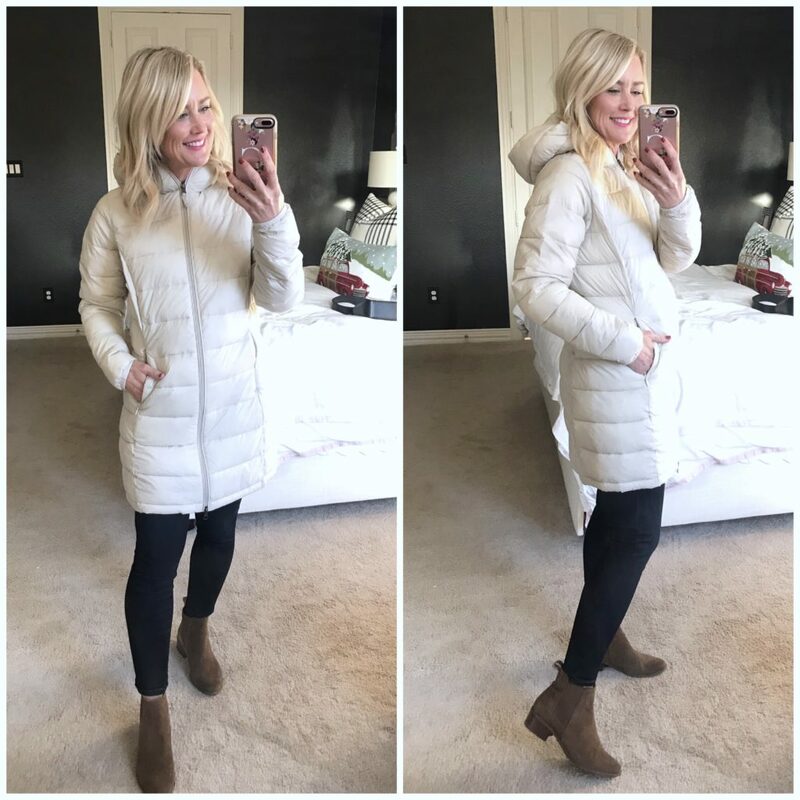 Today I’m excited to share a new round of fashion finds from Amazon! These have quickly become reader-faves, and even though it takes intense digging to find the good stuff, I love the challenge of discovering such gems! This month is a great assortment of sweaters, coats, pajamas, holiday dresses, and accessories…and here is the best of the batch. Sidenote: If you’d like to see more of these Amazon posts, please consider not shopping via the Amazon app when on your phone/tablet. Not only does it not credit the sale to me (so only Amazon benefits), but it keeps me from seeing what you like most! Thank you for considering this option. I shared this combo on Instagram Stories the moment I tried it on earlier this week! I was so blown away by the quality, comfort, and cuteness of every piece! 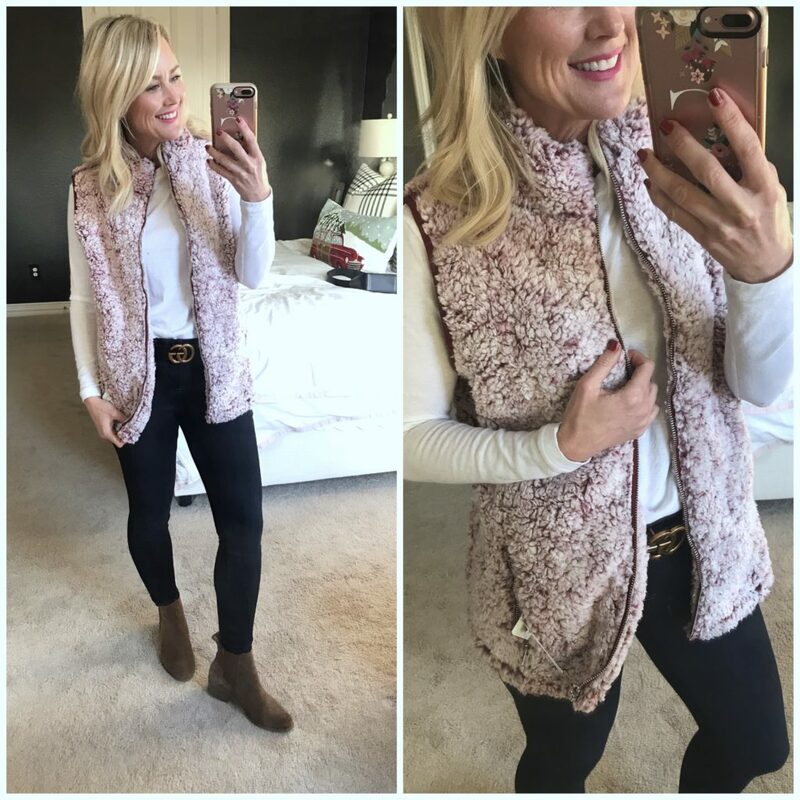 This vest has been a classic for years, but so hard to find…until now! This one is a true herringbone woven pattern (not printed), with actual nubby texture. I love the contrasting trim and gold zipper, too. They’re actually jeggings, but look so much like traditional jeans you’d never know! They have perfectly-placed back pockets, and even belt loops. The rinse is dark with no distressing, and they’re thick and extra-stretchy. Truly as comfortable as your favorite leggings, but style and wear like a jean. Even better, they come in a range of sizes and lengths, so you can get the right fit. Oh, did I mention they’re only $20!!!??? Fit Tip: The shirt is true to size, I’m wearing XS. The vest is an XS, but I’d prefer the fit of a small. My jeggings are XS-Short, and fall just above the ankle bone. I tried the XS-regular and they were a little over an inch longer. 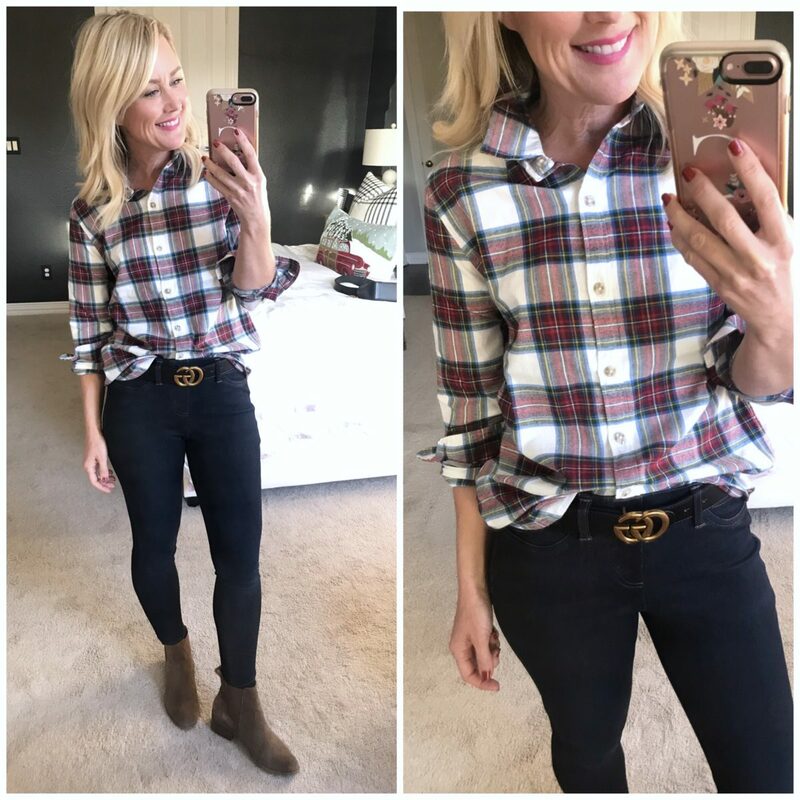 I’m a sucker for plaids in Fall, but am particular about the colors and fit. (I’m not trying to look like a lumberjack!) I was surprised by the darling pattern and feminine fit of this plaid from Amazon’s house brand, and instantly smitten. Fit Tip: I’m wearing a size XS. You guys loved this draped vest so much before, I had to try it in another colorway…so cute in red and black, right?! Fit Tip: I’m wearing a size Small vest and 26-30″ belt. Fit Tip: I’m wearing a size Small, but would prefer a smaller size. The colder the weather, the slouchier my sweaters seem to get. This one has a great oversized fit, with cowlneck and slight bell sleeves. I love all the color options, and soft cable knit, too. Fit Tip: I’m wearing a size XS, but would prefer a size down. 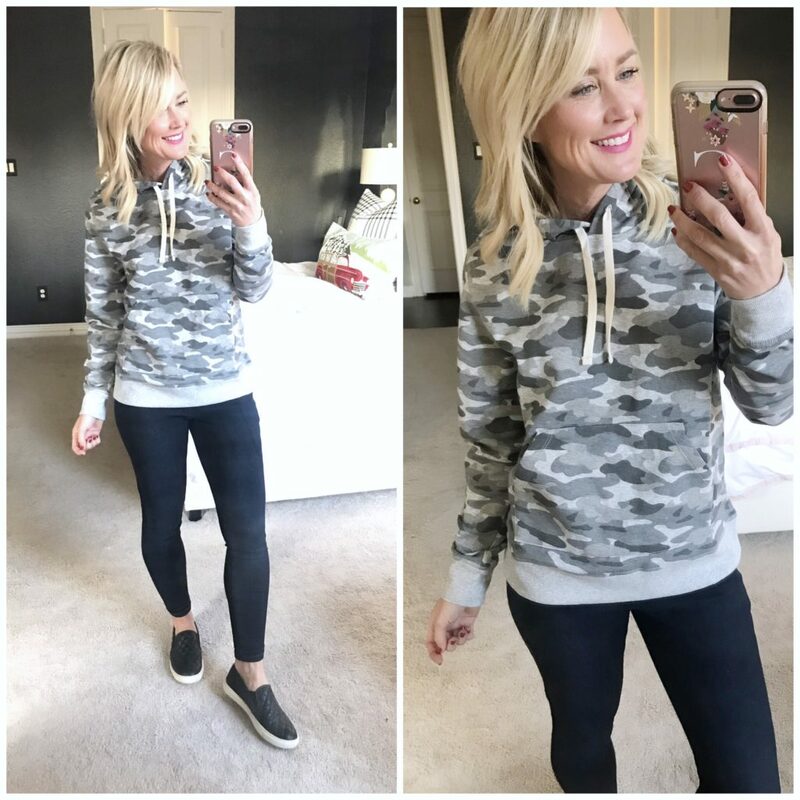 The camo craze continues with this cute gray camo hoodie with pouch pocket. It’s traditional sweatshirt material, but not overly plush. And yep, still wearing those jeggings. Trust me, just get them. You’ll be thanking me all season! 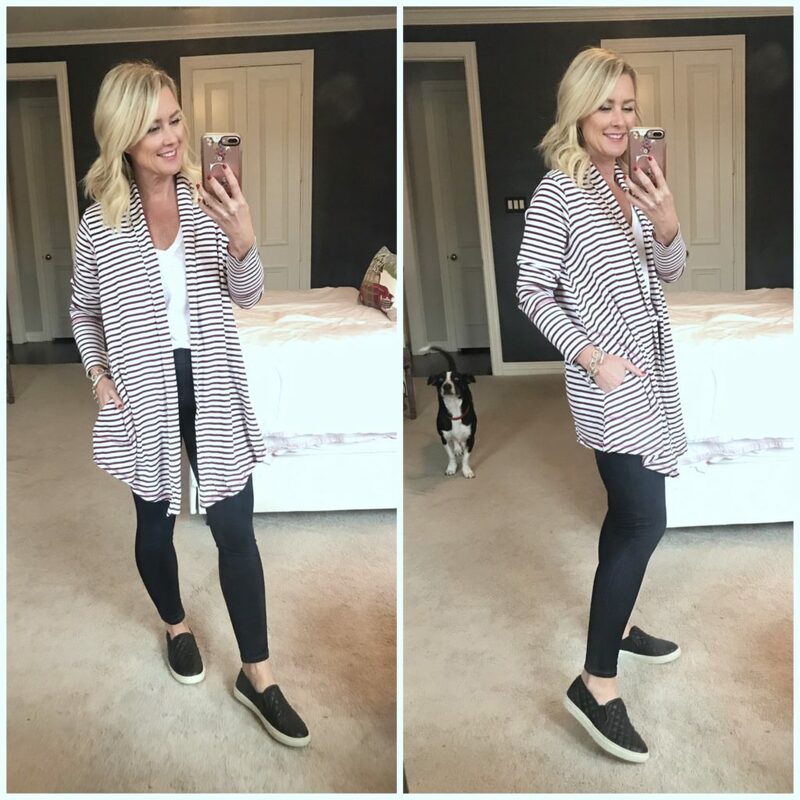 Let’s move in to some loungewear…starting with this open, draped cardigan. It has a waterfall hem, pockets, and soft waffle weave fabric. It comes in several stripes and solids, too. I’d wear it around the house with pajamas, or out with leggings (or jeggings in my case!). 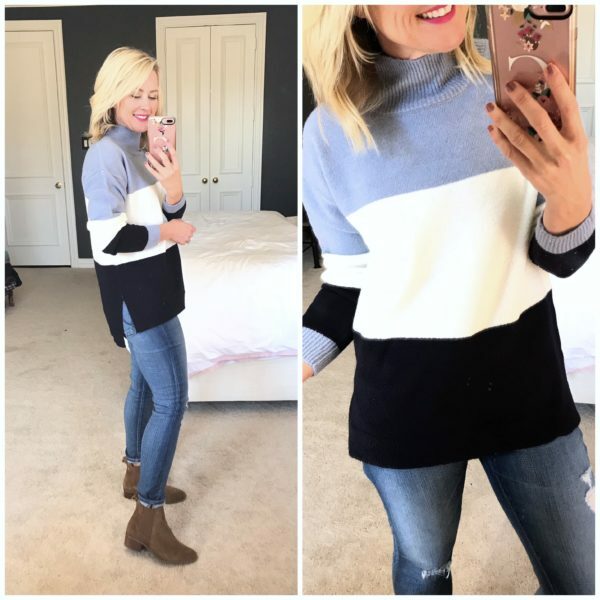 This top is a cross between a tee and a sweatshirt, in a great longer tunic length…perfect for leggings. 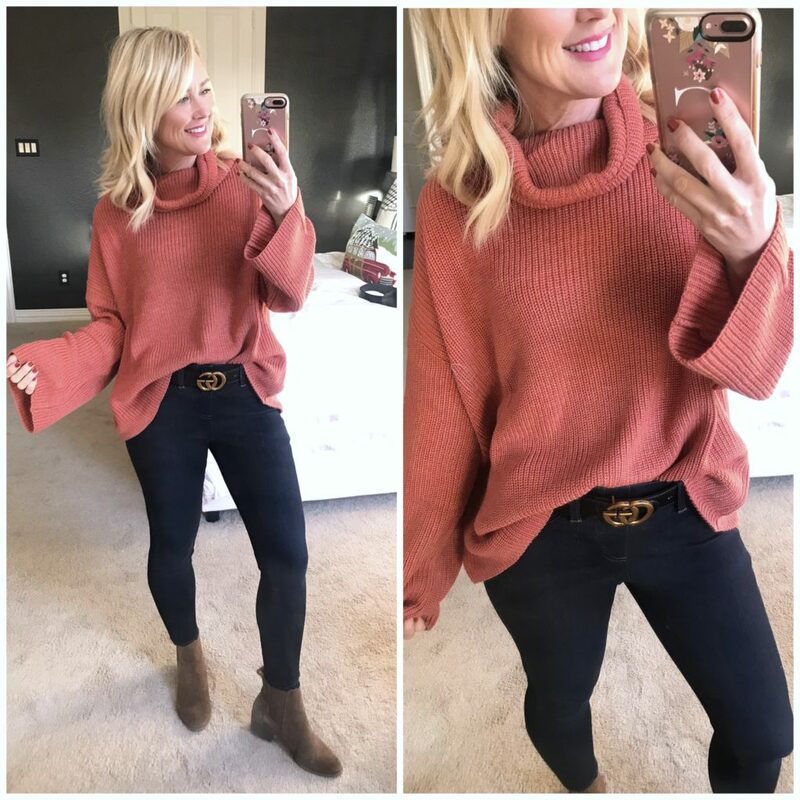 It comes in several colors and makes a great Fall weekend basic. Next up are dresses…all perfect for the holiday season. And the category I’m most impressed with of all my Amazon fashion finds! This one was the most popular last month, so I had to see if the colors were as pretty as the black…and yes they are! This green is the perfect deep, emerald, and looks wildly expensive. I loved hearing from so many of you who grabbed it and loved it, too! Fit Tip: I’m wearing a size XS.. Here it is in a long-sleeve version, just as lovely! Fit Tip: I’m wearing a size XS, and it’s almost too tight, so size up if you’re in-between. 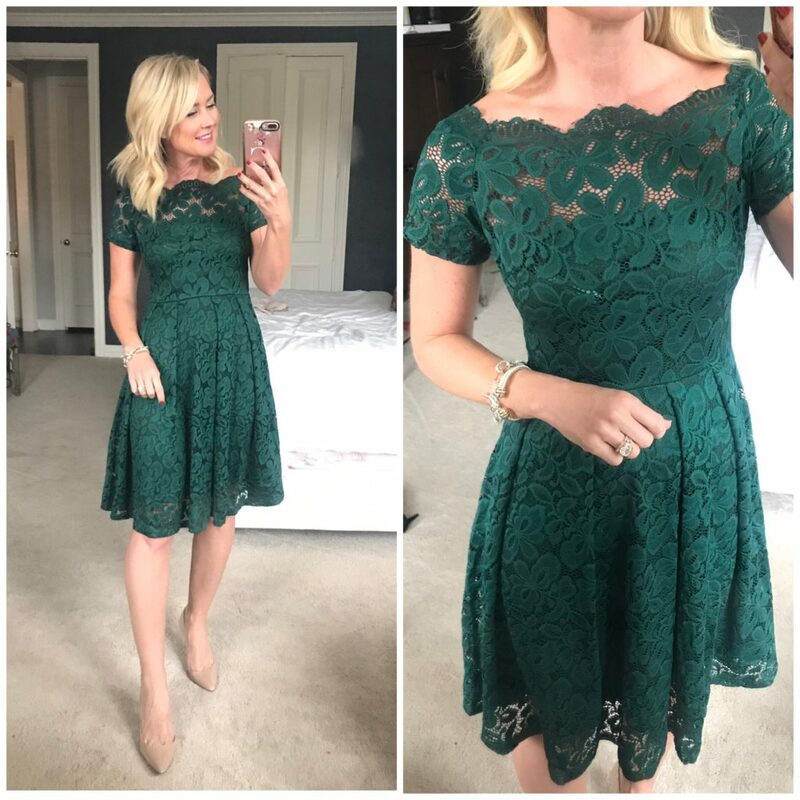 This dress is similar, but with a higher neck instead of the off-the-shoulder. I love the fringed edge, and it falls beautifully to the knee. 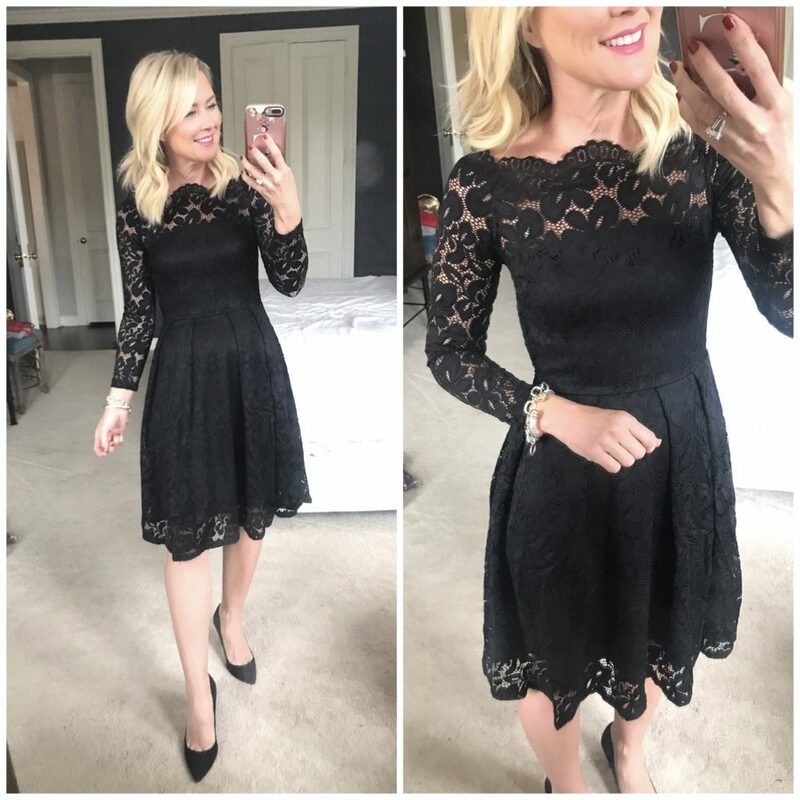 Another gorgeous option…this one with the same lace top, but in a longer sheath shape. The picture really doesn’t do this one justice! The fit and color is spot-on! Fit Tip: I’m wearing a size Small, but need my usual XS. 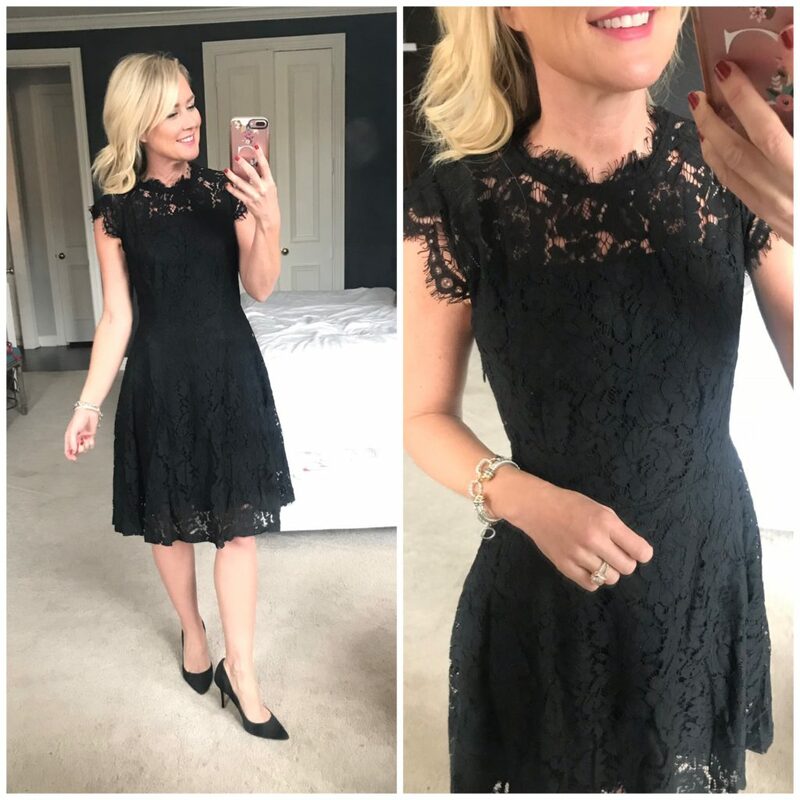 I’m obsessed with this lace midi…a dead-ringer for a popular dress that runs $500! The lining is stretchy and soft, with adjustable straps. 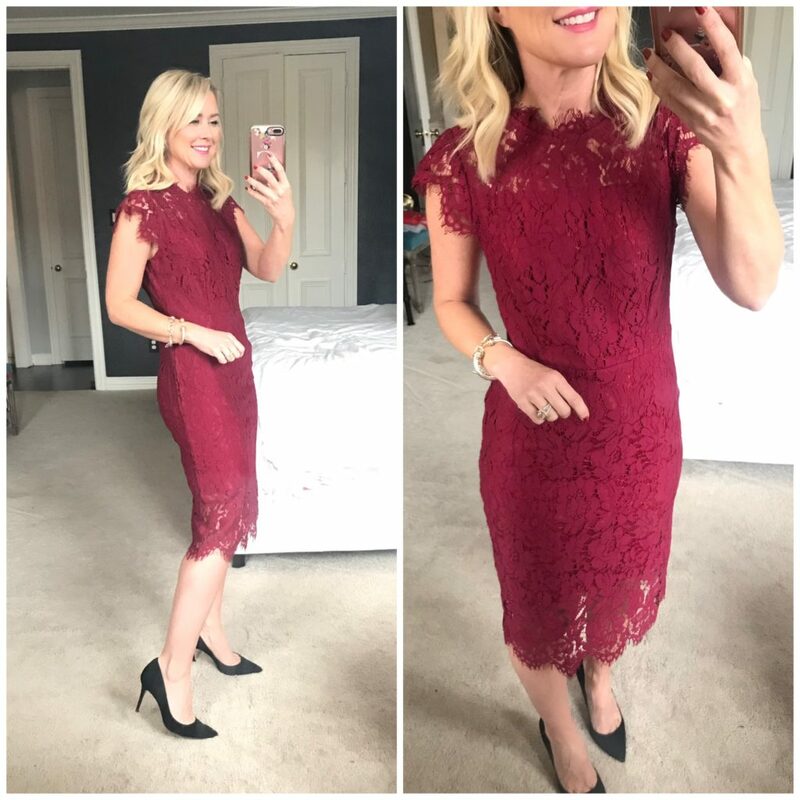 Up next is dressy separates, and I found a few winners for sure! This blouse has a lovely lace top with slight cap sleeves and drapey fit. It’s gorgeous worn alone, but also a great layer under jacket and blazers. The skirt was another happy surprise! It’s fully-lined with well-made pleats and pockets! It’s a great knee-length and flattering a-line shape. And hello, only $20! I want it in every color! Fit Tip: I’m wearing a size Small in the blouse and the skirt is US2. 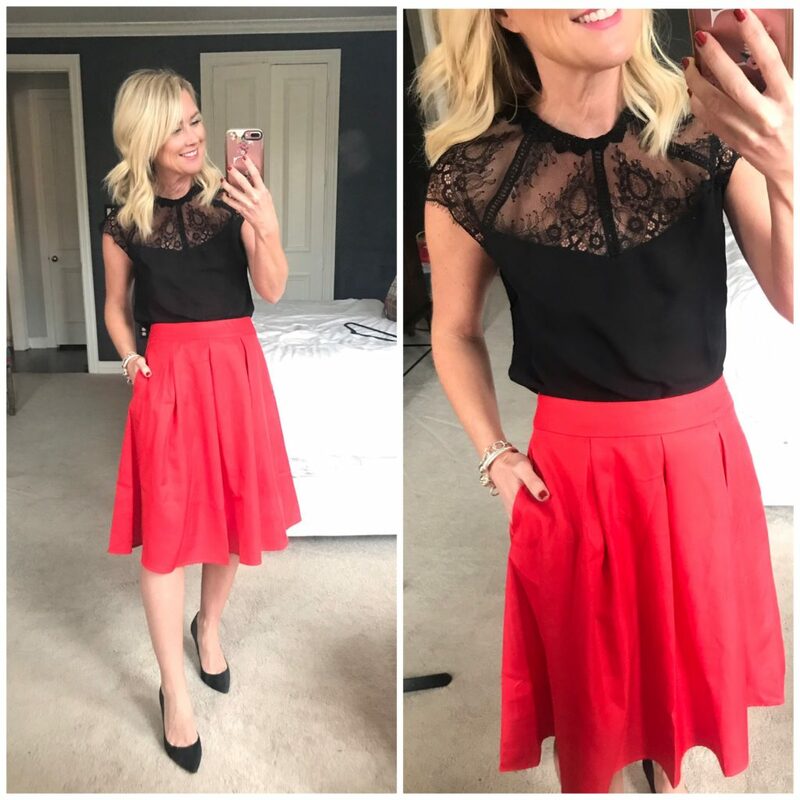 Another classic look, I paired the same lace top with a stretchy midi pencil skirt. It’s hard to see in the pics, but it’s a high-waist with a wide, stretchy band that’s both comfortable and flattering. The rest of the skirt is thick, stretchy knit, so it smooths and hugs your frame. It falls just below the knee for a leg-lengthening effect, too. 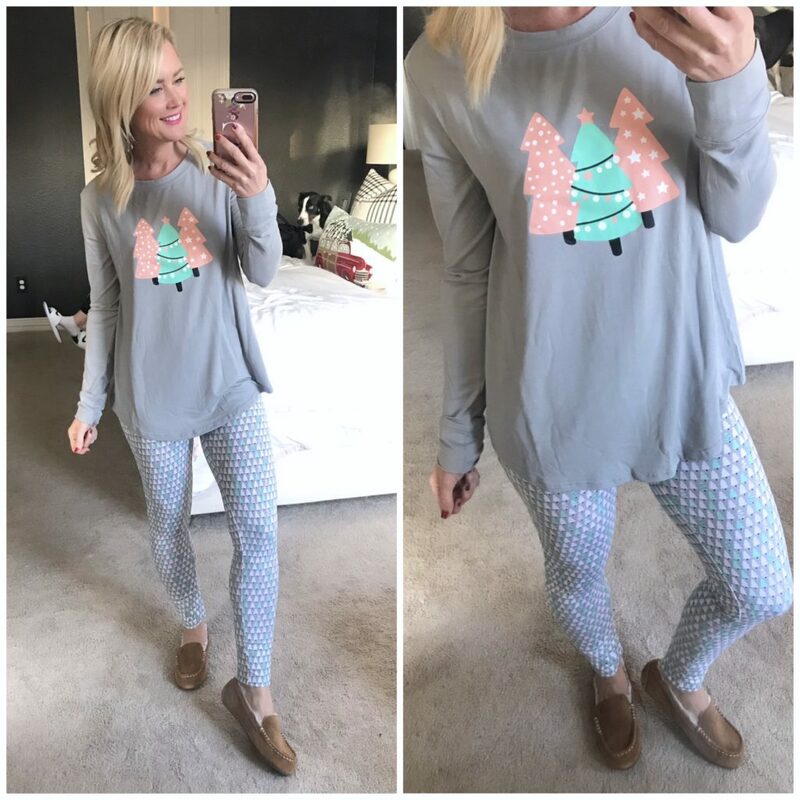 I shared lots of pajamas, especially some really cute holiday styles, last month…and have one more to add to the bunch. These are super-soft jersey knit, and the pants fit like a legging with a longer tunic-style top. The slippers are an affordable Ugg option, and look just like the originals. The Amazon puffer coats have been extremely popular, but I’ve had requests for hooded options, too. Well friends, ask and ye shall receive! 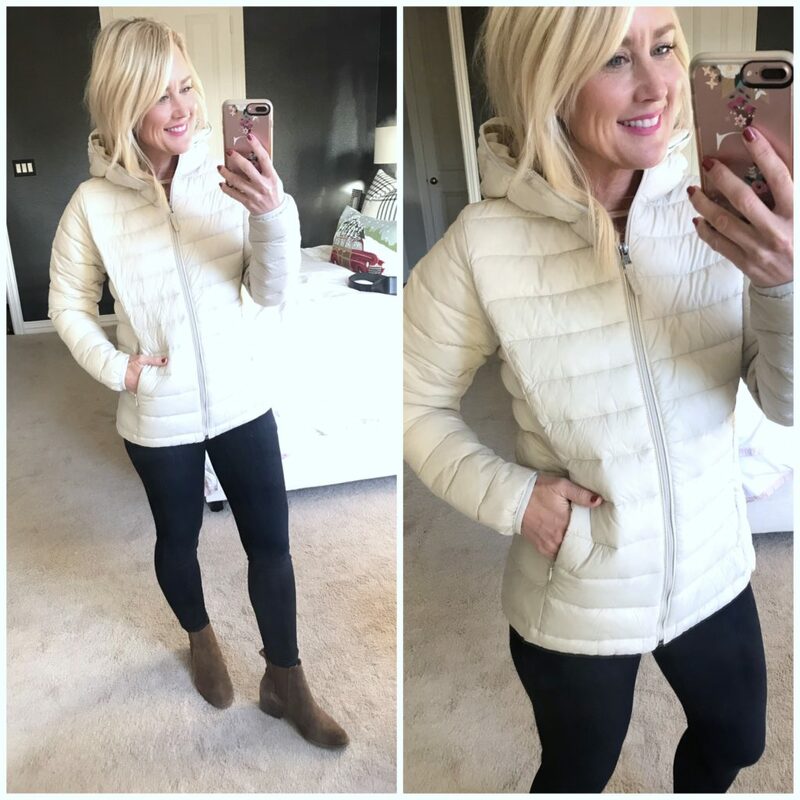 This hooded version is the same style and fit as the other favorite, and still super-affordable. And still packs smaller than a football! 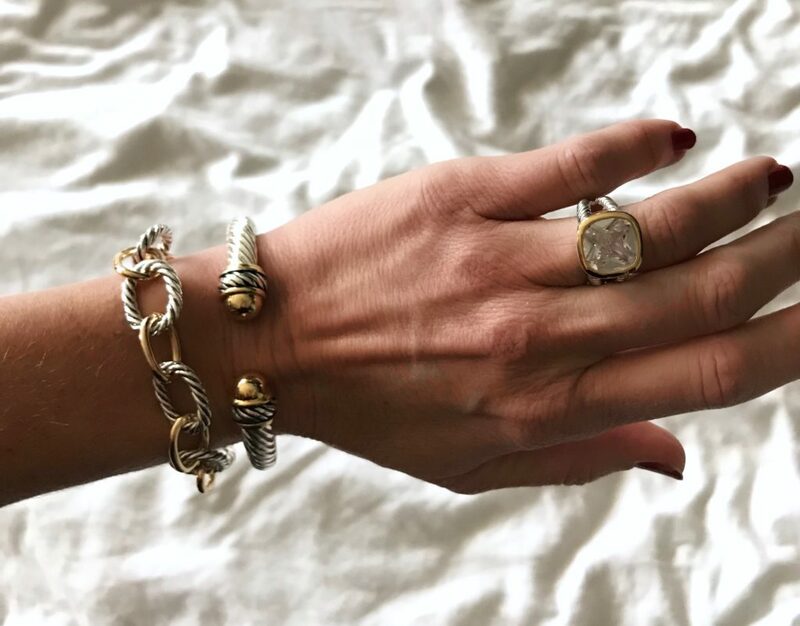 And finally…let’s talk accessories! I found some unbelievable dupes that look and feel (they’re actually heavy!) like the real-deal. 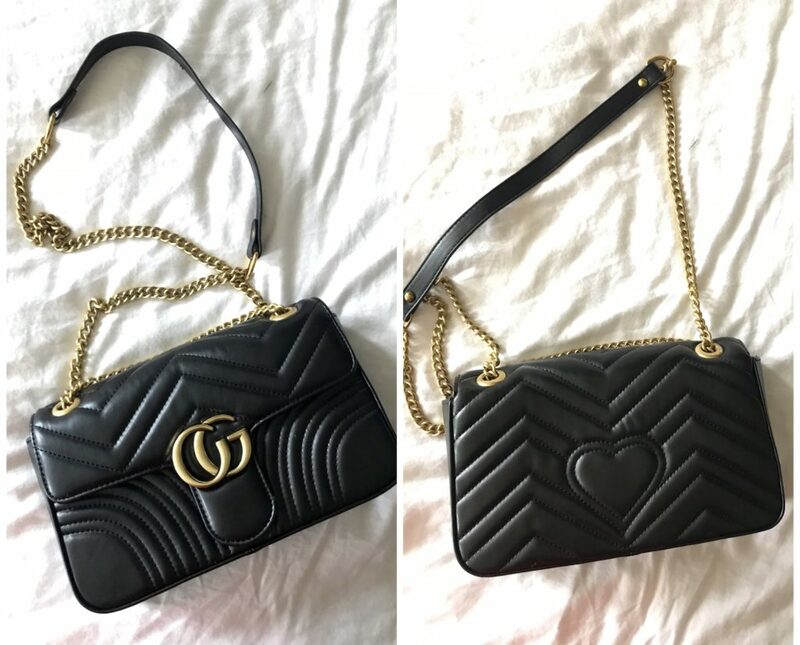 This GG bag is reeeeeeally close, but do you spy the one thing that gives it away? It took me a couple of days before I spotted it. (It’s CG instead of GG.) Even so, it’s a great-looking bag and really good quality. And finally, my favorite scarf this season comes in a slew of patterns, and is unbelievably stylish. It’s soft and lightweight, too, and doesn’t shed. It’s also only $12.99 and makes a great gift! As for our random Amazon buys this month, this rapid egg cooker is under the tree for me (did you even know that was a thing!!?? ), these headphones are for the teen (Mr. SP says this is a superior brand! ), and this fun Sharpie set will be in Little Miss’s stocking. What have you ordered from Amazon lately? What’s your favorite fashion find from this month? Is there something you’d like to see more of next time? 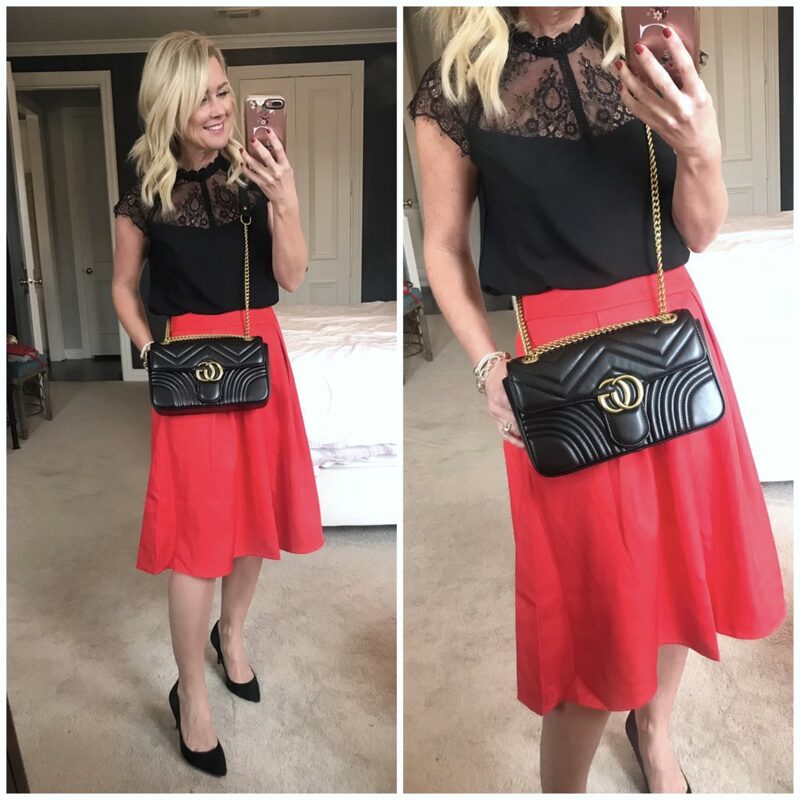 Find all my Amazon Fashion Finds here. And if you follow me on Instagram, stay tuned to my Story later for a live try-on session of these items! Happy weekend, lovebugs! Thanks for all your digging and work! Great Finds! I love the lace blouse but the link doesn’t seem to be the exact same one you are wearing… it’s a vneck. I prefer the one you are wearing… so cute! Agreed! But those dresses are legit classics!! Question. If we swipe up on the stories, and order through that Amazon link, you get the credit right? Because I definitely ordered two pairs of the jeggings and a girl in my office ordered a pair too! Can’t wait! Be here tomorrow!! Eeekkk! You’re so sweet to ask, Elizabeth! As long as you checkout within that swipe up window (not on the amazon app, or outside of the IG window), the credit goes to me. Or if you click one of my links from the blog and check out on a browser (either on your phone or desktop), it stays connected that way, too. I hope you love the jeggings! Let me know what you think!! You in that camo hoodie=super cute. Check her ID! Those lace dresses look like they were custom made for you. Hot Couture! I want to say how much I appreciate all you do here. I personally hate!! researching!!! lol If I decide to order the vest and/or egg cooker to put under “my” tree, I will definitely go through here! I was so excited when I saw this was an Amazon post today. The jean jeggings, camo hoodie, cuff bracelet, and sharpie set are in my cart already! Thanks for all the work you put into this post and your blog-it’s my favorite. Yes please, to the egg cooker, on its way to my home. Thanks muchly! 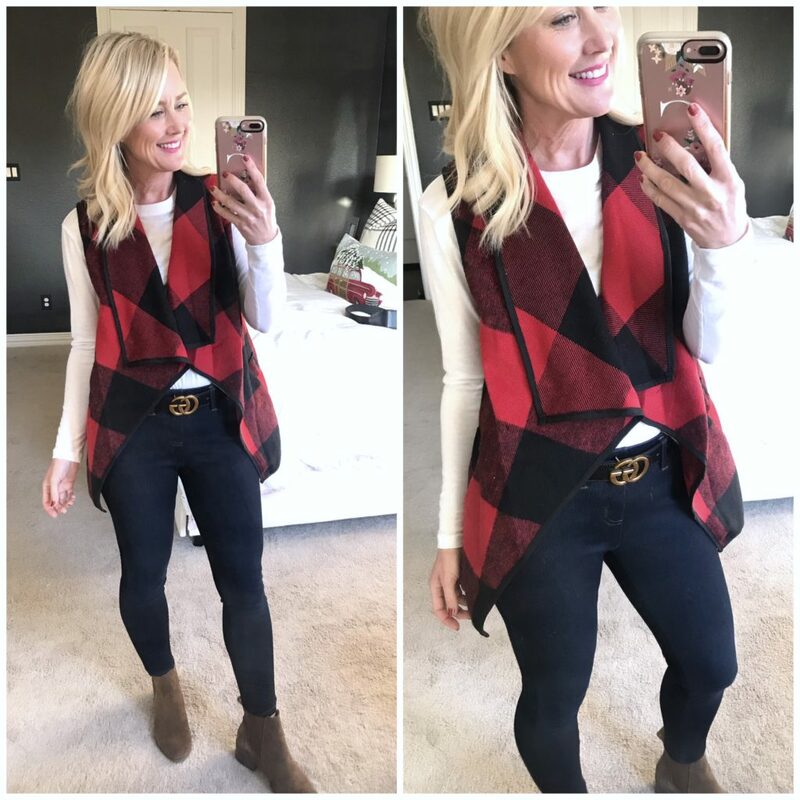 I love the check print vest! I might get it for my mom’s birthday!! Thanks for finding us all the good stuff! 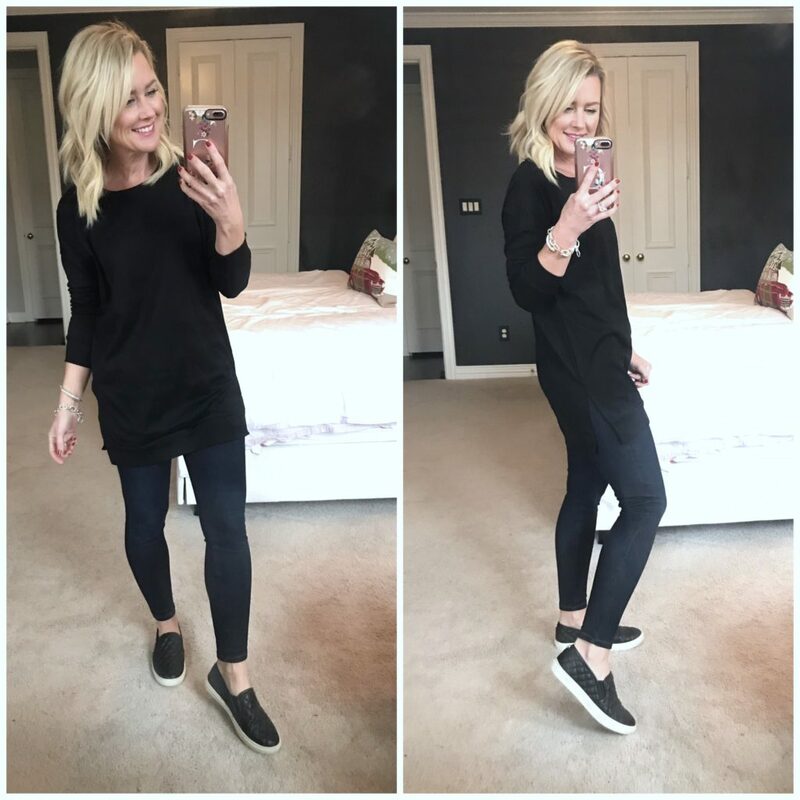 Just ordered the jeggings, in long bc I’m 5’10”, through your blog! I can’t wait to try them on! I also ordered both the daily ritual white & black striped tunic & hooded terry/sweatshirts from your links & LOVE them! They are my favorites this season! I agree with another comment, the amazon posts are really fun, but I just love your style & posts in general! Thanks so much, Rebecca!! That made my week! I had asked you about the color of the Steve Madden booties a couple of weeks ago. I ordered them and am in love! Not near as red as they look on Nordstrom’s site. They are the perfect brown color and super comfy. I traveled in them this week and wasn’t crying at the end of the day. Thanks for keeping us fashionable! Yay!! I’m thrilled they worked out for you!! 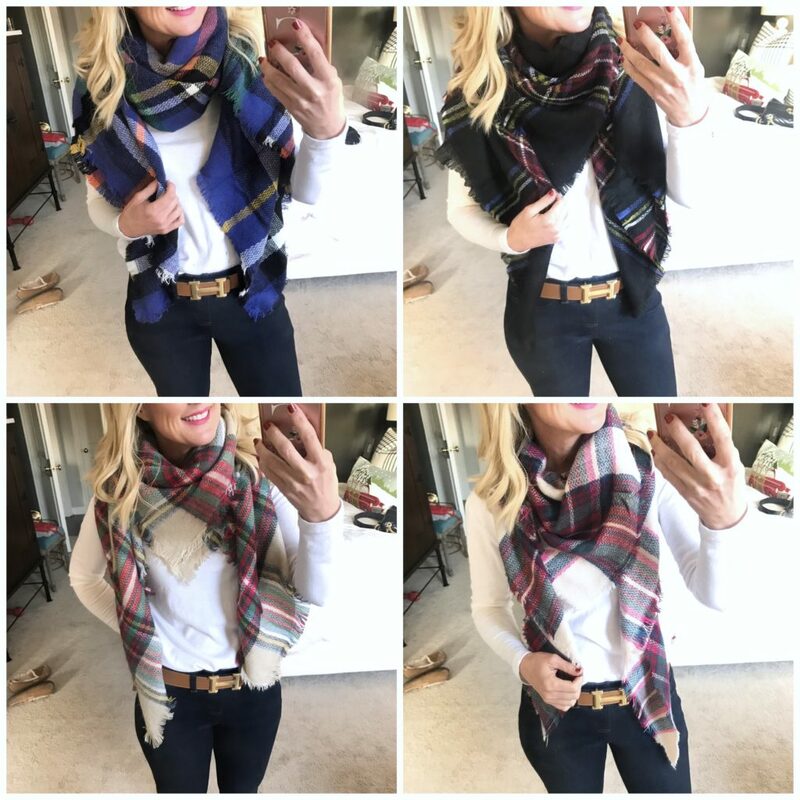 I’m wearing those more than any other this season…they’re just so chic and comfy! I’ve been wanting jeggings and these look perfect. I’m 5’3″ and amtrying to decide if I need short or regular. 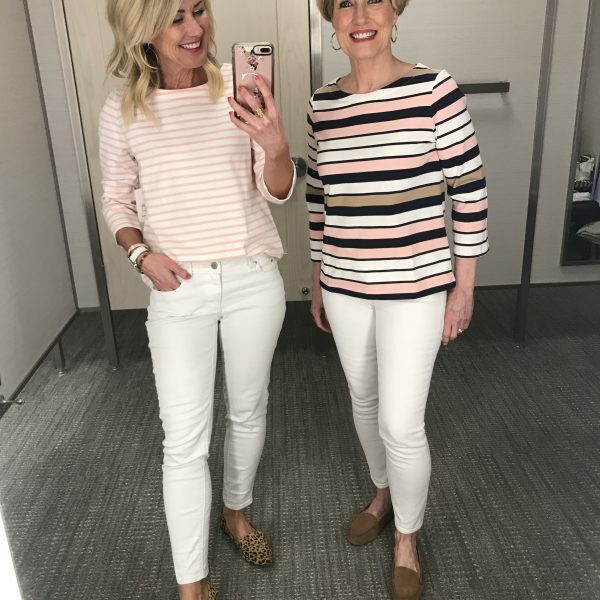 Can you tell me the inseam length? Thank you! Haha, I’m so happy you liked the post, Amy!!! Let me know what you think of your new things! I love the black lace top but trying to figure out sizing. I’m typically a medium – based on fit would you recommend sizing up? I think you are usuallly an XS and in this you had a small. Thanks!! Hi Jessica…I was only wearing a small bc XS wasn’t an option. I think I would have been fine in an XS, too! I just bought the GG belt! I’m so excited to start wearing it! Did you do anything special to help the smell of it? I have been wanting a good dupe of this belt. So, thank you for finding all these items…they are super cute & affordable! I love your style! I just left it out in the garage for a few days and it aired out! Love your phone case – can you link as well? Thanks! Thank you for this Amazon finds post! 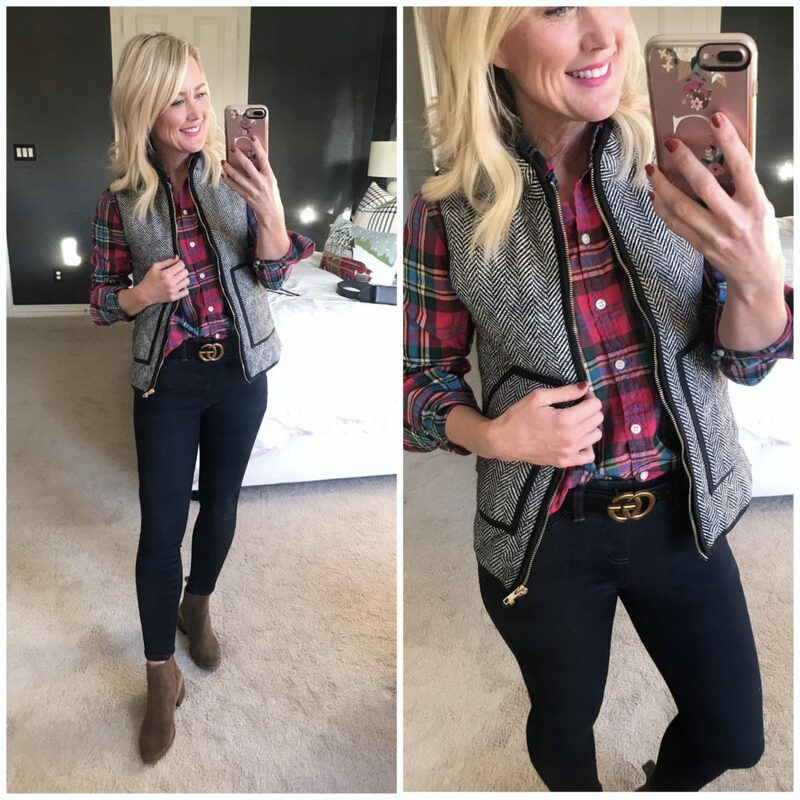 I just ordered the herringbone Vest! 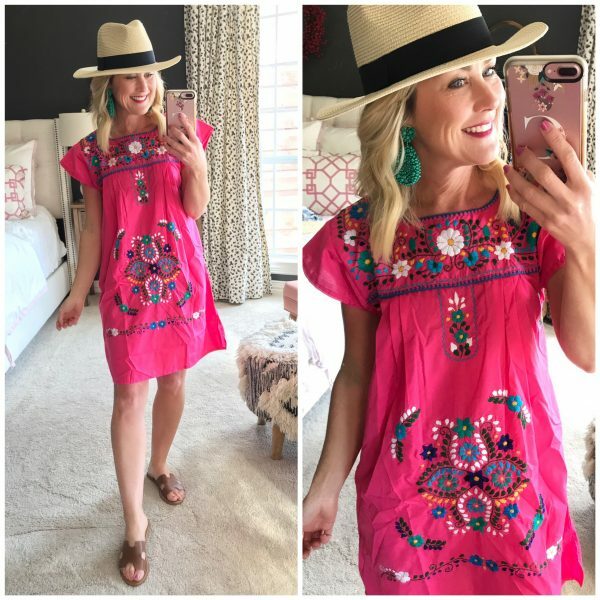 I look forward to your post on your Amazon fashion finds each month! I’ve been a reader since this summer and have loved and appreciate all your reccomendations as I have loved everything I have ordered! Merry Christmas! Thank you so much, Lizzie!! I’m thrilled you find inspiration here! I just found you and I’m SO excited! My amazon wishlist is out of control now! Your style is perfection! I love seeing how I can style outfits that don’t cost hundreds upon hundred of dollars. 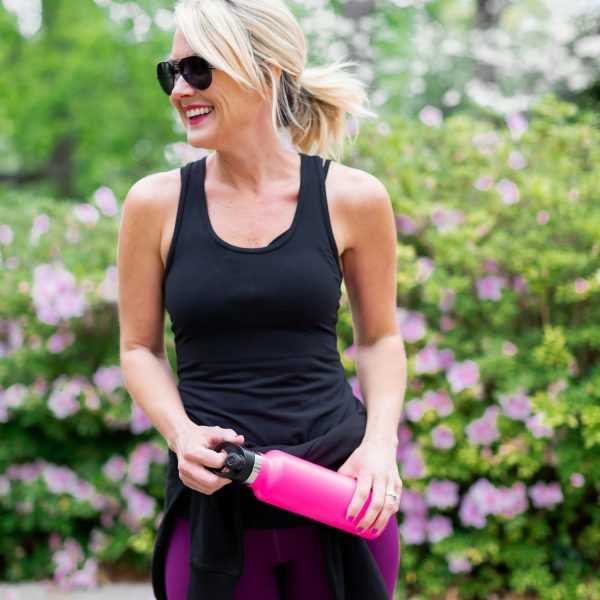 You look so put together in all of your looks and I love that you show everything from sporty/athleisure to a typical daytime look to a fancy occasion/night on the town. I can’t wait to see more! Welcome, Cara!! I’m thrilled you find inspiration here!! PS Did you order the lighter wash and like them too? I’m thinking about ordering them also, but wasn’t sure about the color. Thank you so much!! I’m thrilled you find inspiration here! Hi, I love the stuff you find on amazon, but I’m always so skeptical of the quality. How is the quality and longevity of clothes and accessories from amazon? Some is definitely one-season, but I don’t include those in what I recommend! The things that make it to the post are the same or better quality than what I’d share from stores like Nordstrom or Old Navy! Some items are Amazon house brands, and others are individual shops that use Amazon as their selling platform. The Pencil Skirt length goes straight to a Navy in size medium with no other options. Is that right?